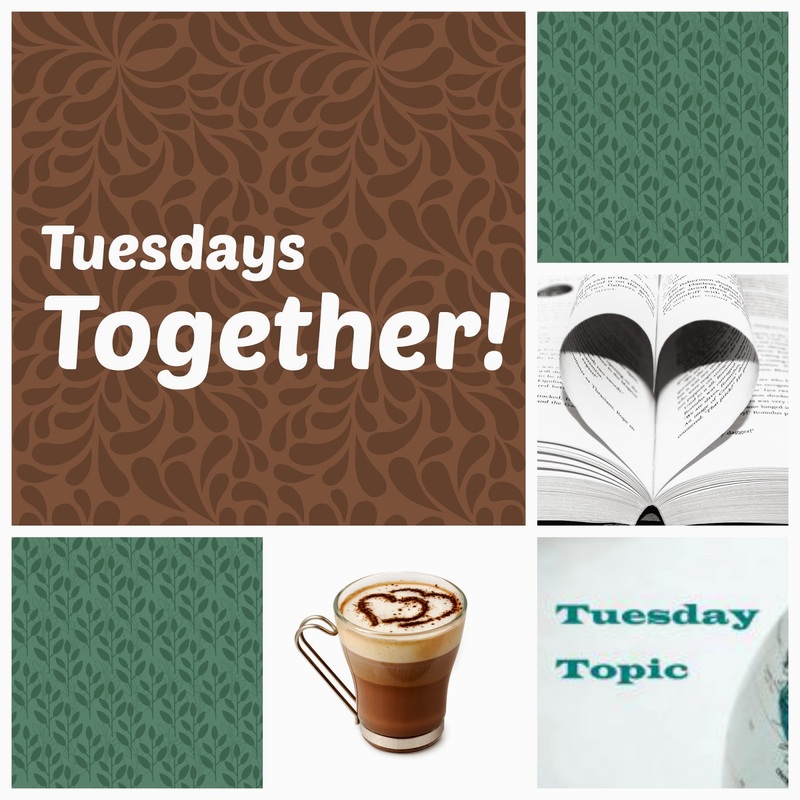 Missionary Mom's Companion: Tuesday Together: Time for coffee! Here we go! The goal of posts like this is to help us get to know one another better, to let us feel like we're able to spend time together over cups of coffee (or tea), and just chat. So, are you back with us after going through those links? Lots of good information there, eh? 1) Please add to the education conversation in the comments here. What do you have to add? Questions, comments, experiences, etc? Many thanks to Ashley for the content and ideas here today! We have experienced all these schooling options in our family. My oldest was homeschooled all the way through high school. He enjoyed it. Our second and third children homeschooled, went to a local International School, and then MK boarding school. When we first arrived on the field with two little boys ages 3 and 4 we said we would never consider boarding school. In our way of thinking why have kids if you were going to ship them off for someone else to raise?! However, once our children were older and they wanted to go to boarding school we reconsidered. We began to pray for the Lord's will and not ours. Here are some things we learned along the way. It wasn't a good idea to wait until 11th grade to send our son to boarding school. By that grade there are already strong relationships and its harder to feel a part. There is always the bad crowd that opens their arms and my son fell into those friendships. We eventually had to pull him out and homeschool. I do believe if we had sent him in 9th grade he would have done great. Now as an adult he will tell you he made bad choices in a good situation. So I would not say it was the fault of the boarding school. They did all they could do to help with the situation. Our daughter, who is currently in 11th grade and in the same boarding school is doing great. She went in 8th grade and immediately made friends and feels a part of the school. She much prefers boarding to homeschool. Boarding school definitely has its pros and cons. I think my daughter would say that the biggest con besides missing home is the drama in the dorms and that you can't get away from it at the end of the day. However, this is something she will have to learn to deal with in college and even later in life. She has her head on straight and although at times it gets to her, she has found ways to deal with it. And the funny thing is that one of the pros is all her friends and how close she feels to her dorm mates! So having had kids in all options of schooling I believe each family has to consider their situation and each child individually as they choose an education option. And of course spending much time in prayer is necessary. My suggestion...start praying now. Maybe you have a 5 year old and the thought of boarding school makes you cry. Pray. Trust me. If there is ever a time when you begin to seriously consider sending your child to boarding school it will help to know that you have been praying about it for years. We've dabbled at local private preschools overseas both local language and English, continued on with homeschool, and now we newly have one in public school in Canada... I think we're still finding our place! Our mission work has kept us on the move (1-2 yrs max in any one place) so homeschooling has been our mainstay and preferred method of schooling. But each situation has called for different school involvements. We have often desired to place our children in the local schools, but have not been able to do so - usually because of visa situations - so, we have used local private preschools and extra-curricular schools (2nd language, tutoring classes, etc.). If we've learned or proved anything in our schooling adventure so far, it would be that each child, each ministry situation, each location, each family season requires a new evaluation of what is best! Right now, having the two do different schools altogether is a new experience for us, and one I'm not fully happy with -for myself; our girls are both very happy with what they are doing! It is, like all parts of life, something that must be borne out of prayer and then trust in what He leads us into. Since we did those posts on the old Missionary Moms' blog, we've now experienced Russian school, homeschooling, and now international Christian school! Schooling has been quite a challenge for our family to figure out. We really were excited to do Russian school, and had we only had one or two children, I think we could have stuck it out and had it be a good experience. But, we have 4 kids and with our youngest being a baby, the homework was just too much for ME! My daughter needed hours of undivided attention to complete her homework, and I just didn't have the capacity to give that to her while still meeting the needs of the rest of my family, so we ended up switching from our first choice option and trying to find a situation that would work better for us in practice. I homeschooled temporarily, and though I liked much about it, I don't think it fits that great with my personality. I know that each personality can homeschool, and there were certainly things about it that I absolutely loved, but it didn't seem to be the best situation for me and my kids for the long haul. We're now in an international school, and though I had lots of fears about becoming overly immersed in a missionary English-speaking bubble, I've found that simply having the stress of education so greatly reduced has actually freed up a lot of time and energy to really enjoy and invest in my family more as well as to still have energy to invest in others in our community. It's funny but one of our biggest reasons for wanting to have our kids in Russian school was so that we'd be able to have a closer connection with our community, when in reality, school work ended up consuming our whole life, leaving us with little left over to invest in others. Now that we're doing school in English, we have so much more to give and so much more capacity to build relationships. I never would have expected that this situation could actually help us connect more with those around us! Figuring out schooling options overseas is such a unique situation for everyone! Praise God that we live in a day where there are so many options. It's funny, when we moved here to Costa Rica as new missionaries with our first baby only 3 months old, I had more opinions about schooling than I do now. =) And, we are basically doing the one option I did not think we would do. I was sure that we would start with our kids in local public schools to learn Spanish and would then either find a Christian school to put them in or homeschool them, but specifically did not want to send our kids to the school they go to now! They go to the one private, bilingual (English and Spanish) school in town. It has been a really good experience for us, and our older child has become fairly proficient in Spanish from going there for two years of preschool and now kindergarten. Our friends tell us that he sounds not only like a native Costa Rican, but like someone from our small town here! We have seen other missionary families have both good and bad experiences with all of the options, and I've learned that it is just going to look different for each family and even for each child within a family. So, we are just seeking to find what works best for us each year. I think I've posted this before, but I explain a little about all of my emotions behind our schooling decisions in this post on our blog: http://www.ps67.blogspot.com/2014/06/first-day-of-school-lessons-learned.html. It's helpful to hear other's experience through this blog. Thanks for sharing, ladies! I'm marvelling at the diversity and wisdom here. God gives each family exactly what they need. I'm enjoying hearing how He's leading everyone. So far, schooling has been a pretty simple decision for us. We homeschool in the mornings and tap into other resources for extras in the afternoons. We're all loving it!